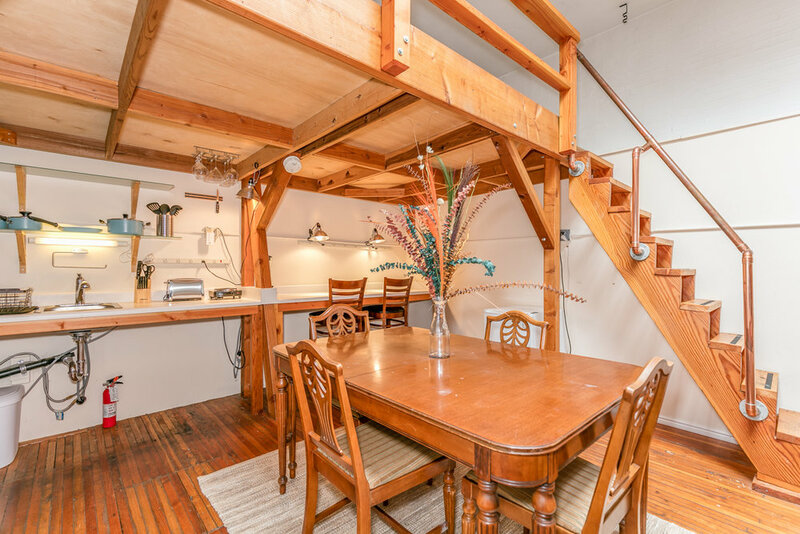 This hidden gem, was once a horse stable turned into a funky old world/meets new world living space. Enter from your spacious private patio. The open living space has 20+ foot ceilings, dining table for 6, a kitchen with all you need to cook and space to share with guests. Kitchen is equipped with a double stacked mini fridge, a mini freezer, convection/microwave oven, counter top hot plate, instant hot water maker, blender, and more. Sleeping loft is a walk up, has a full size bed (note ceiling height is not full standing height). The bathroom boasts an original claw foot tub. The tall ceiling, ample large windows and skylight make the space bright and airy. 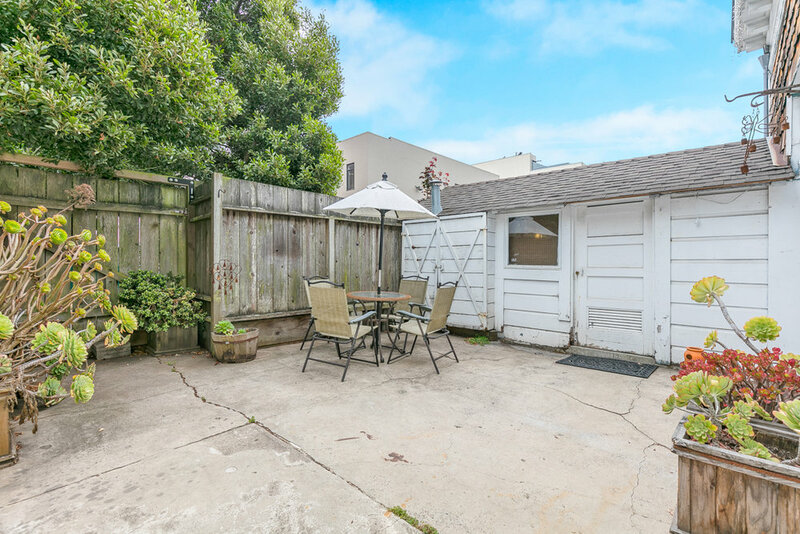 Location/Neighborhood: Nestled in the back of a deep lot, brings a sense of privacy and sanctuary. Yet right outside your door you’ are right in the midst of everything you need for city living. .